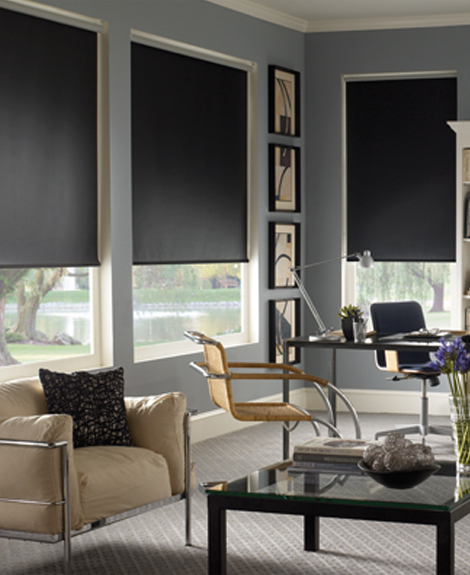 Showcase the sleek lines of your office space and highlight the other black touches around the room with these contemporary black roller shades. The textured throw pillows, chrome furniture, modern picture frames, and glass top coffee table will pop even more with the addition of these fashionable yet simple window treatments. You will never miss the magnificent view when you install these sheer custom roller shades that stylishly filter natural light. Choose from a variety of fabrics and colors to enhance your room's style and décor. Top with a simple cornice to camouflage the hardware and complete the sleek and simple look. 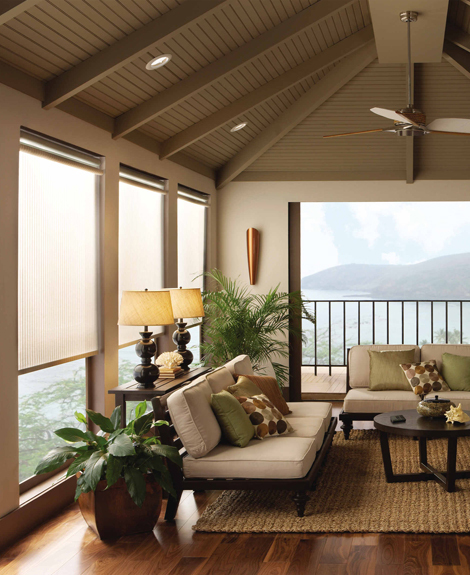 With scenery like this, don't cover it with view-blocking window treatments. Keeping the casual feel of this living area, these roller shades can be lifted out of the way to allow the view to remain center stage. Echo the lines of the ceiling with a textured sisal rug, add a few interesting pillows, and you're done. Choose from an assortment of custom colors, textures, and contemporary textiles to add a touch of style to your home office or sitting room. 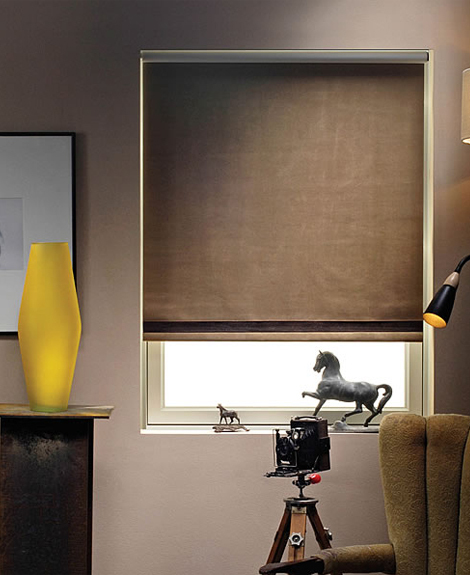 Lightweight roller shades offer a clean look to a room's décor without competing with your decorating touches. Include a pop of color with a stripe along the bottom. These are not your grandmother's roller shades. Choose from a diverse range of custom fabrics, a variety of colors, textures, and more. 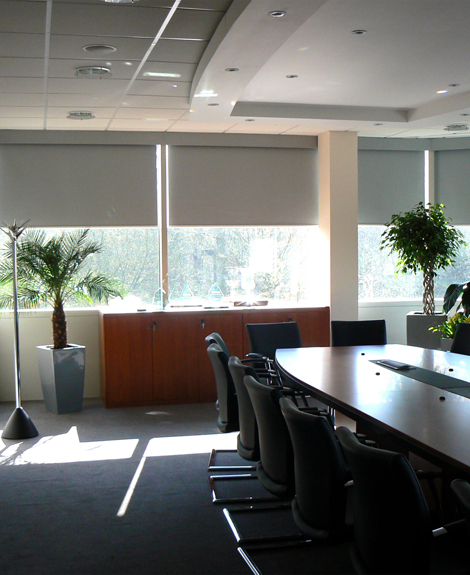 Roller shades can be sheer to filter natural light with style or opaque to completely block out the sunlight. The hardware can be either manual or motorized for a touch of luxury. 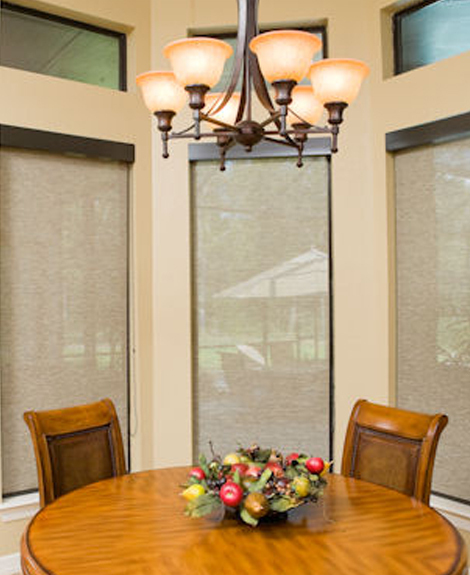 A lightweight texture and soft color of these roller shades enhance the serene feel of this dining room. The clean, softly curved lines of the table and chairs is echoed in the light fixture. The color of the walls blend with the warm wood tones and the roller shades filter the sunlight without blocking the view. 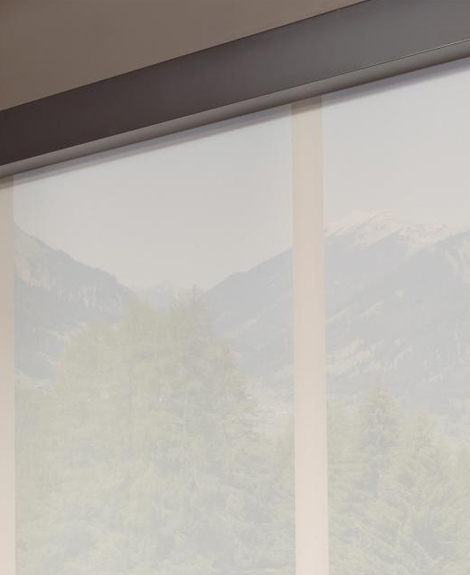 Perfect for a business conference room, these blackout shades provide the ultimate light blockage to make your PowerPoint presentation as clear as possible. 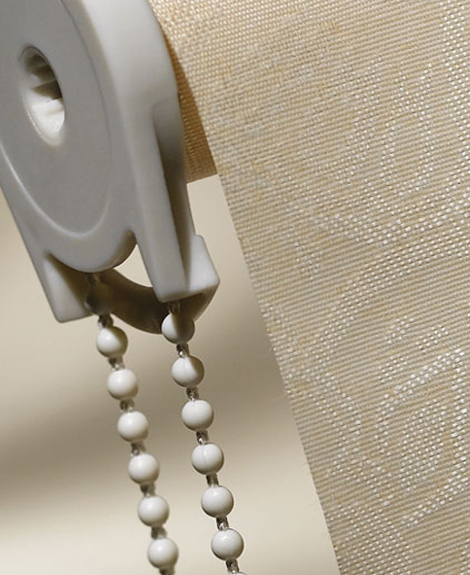 Whatever color you choose, the texture and opaqueness of this roller shade will do the job. Top with a cornice to camouflage the hardware and complete the look. Clean and simple, these soft white roller shades are the perfect finishing touch for the beachy feel of this bathroom with its white shiplap walls, clawfoot tub, French doors, and sidelight windows. Roll the shades all the way down for complete privacy or adjust them to let the sunshine in. 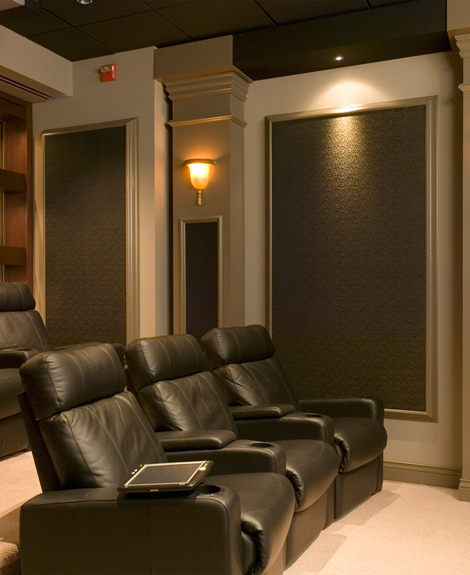 Blackout roller shades provide ultimate light blockage to make watching movies in your media room more fun than visiting the local theater. Installed to match the sleek lines of the room, these roller shades match the recliners for added style and flow. If desired, shades can have motorized controls for maximum luxury.